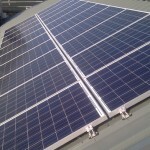 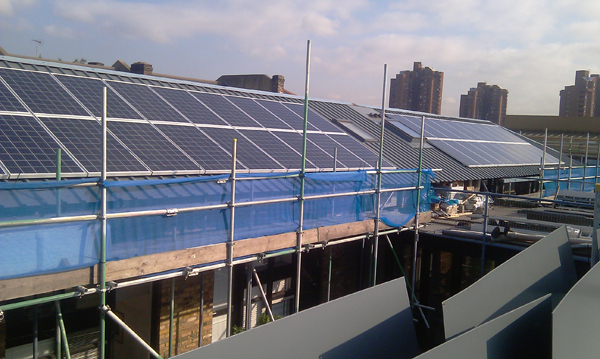 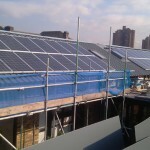 Description: Worlds End Studios, a converted factory now made up of over 50 companies in West London, were repairing their roof in summer 2011 and decided to combine it with the installation of a solar PV system, something that ties in well with the ethos of the building itself. 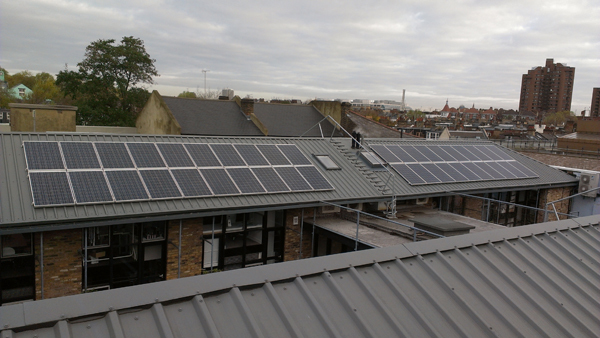 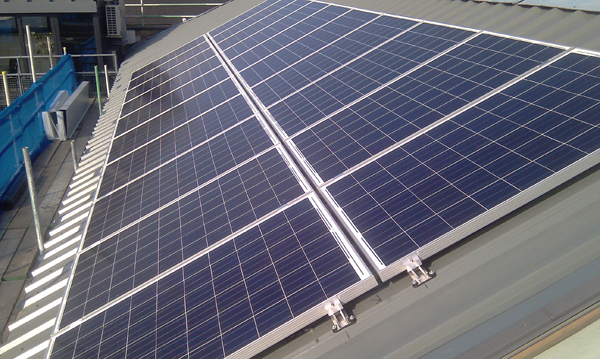 Splitting the system into two, both arrays consisting of 20 Suntech 250W panels, they were able to make the most of their south facing roof space. 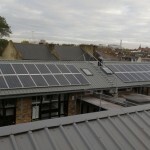 Also installed was a display in the building reception to show everyone working within the building and all visitors how much electricity they are currently generating and the overall generation from the system.